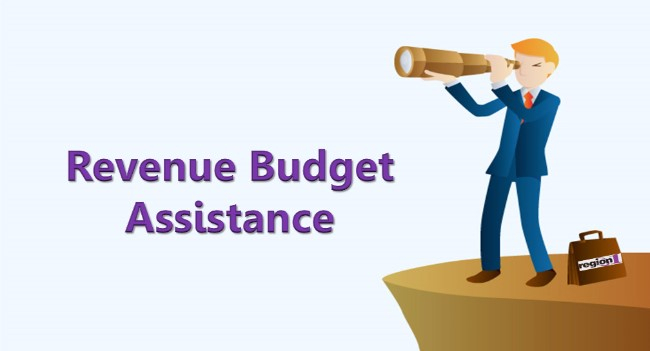 Revenue Budget Assistance - ..:: Region 1 > Product Spotlight ::.. Thinking About Your Budget for FY18? The Region I Finance Department can help you get started by providing Revenue Budget Assistance. Give us your enrollment estimates for FY18, and we can provide an estimate of the aid/levy revenue. A revenue projection spreadsheet is also available to all member districts to use for annual budgeting purposes. Having an extra pair of eyes to look over your State aid projection for budgeting purposes is never a bad idea! For more information, contact Wayne, Stacy, or Alison, or call (800) 450-2990.